The winter weather has finally begun to lift here in the north, and that means it's time to get back outside. 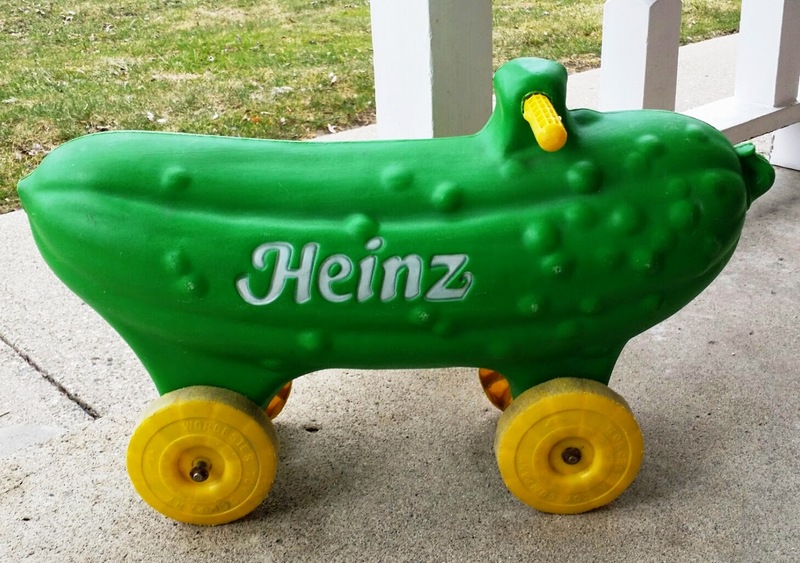 Let's head out with one of my favorite vintage ride-on toys: the Heinz pickle car. Made in the late 1960s-early 1970s, the pickle ride-on was apparently a promotional item featured in grocery store displays. Measuring 2 feet long, the sturdy plastic pickle had a companion piece, a ride-on Heinz ketchup bottle, which is even more elusive than this scarcely seen toy. For another odd vintage toy vehicle, take a look at my Mr. Potato Head ride-on.